You never know what you’ll find in our resale room. 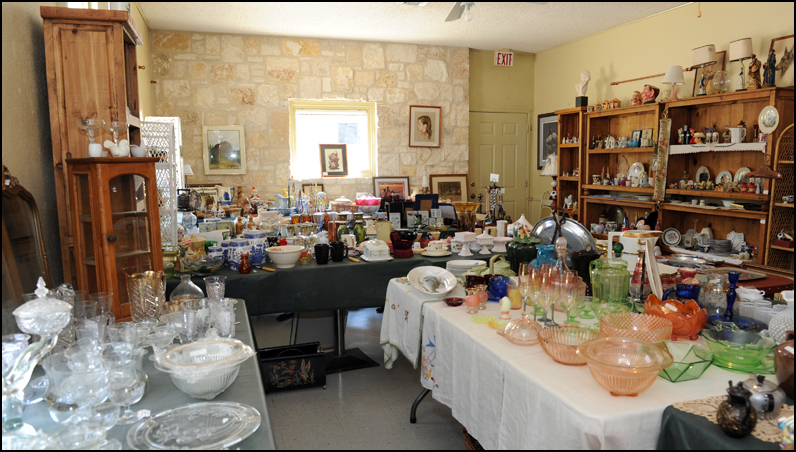 We have a good collection of Depression Glass, and you might find some McCoy pottery, Meissen china or old Fiesta ware. Collectors of salt and pepper shakers will find some unusual ones, as will collectors of cookie jars, cups & saucers, figurines, teapots, or dolls. 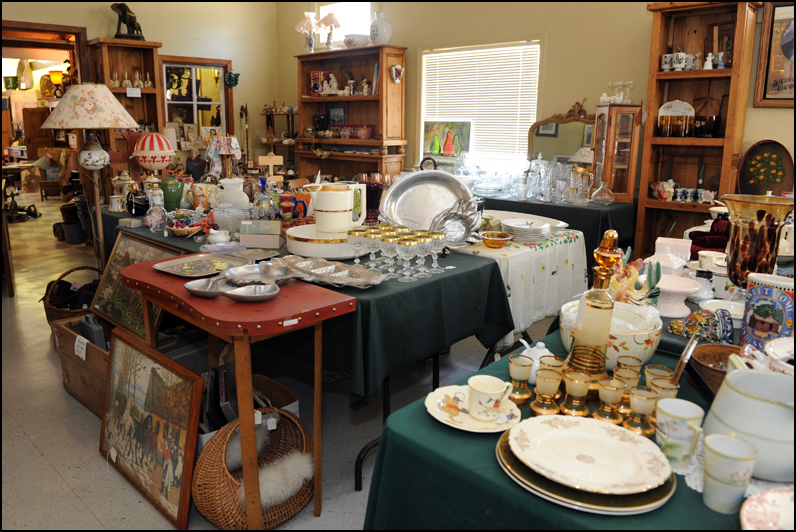 It’s just fun to look through all the collectible treasures in our Second Home room—and the prices are very reasonable.